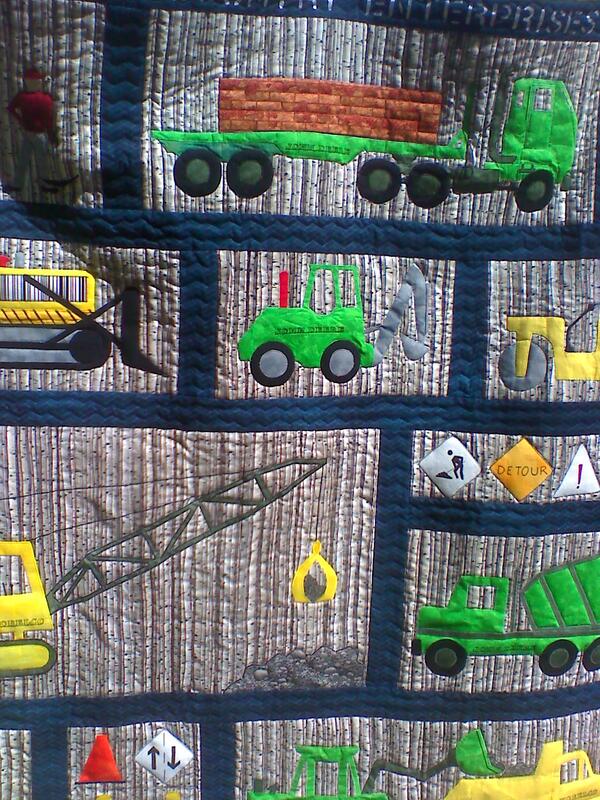 Today I have to apologize to the talented quilters whose unattributed creations are shown here. 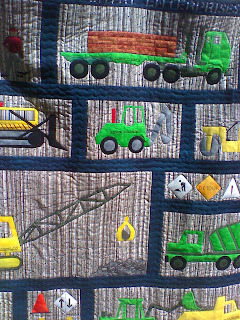 IT Prof walked around and photographed interesting quilts while I conversed with Nedra Bonds, who is extremely interesting and has a lot to teach. However, somehow IT Prof missed photographing the quilters' names on these three quilts. I am very sorry about this mistake. But Son and his co-Mario-loving friend did not despair when they played at our house. The boys took the waffle blocks outside and pretended to be Mario and Luigi. So, they would spend afternoons running around in the fresh air while using their imaginations. I don't think back then Son ever realized how good his life of deprivation was. Our grandson Omaha is obsessed (and I do not use that verb lightly) with trains, trucks, buses, and heavy construction equipment. 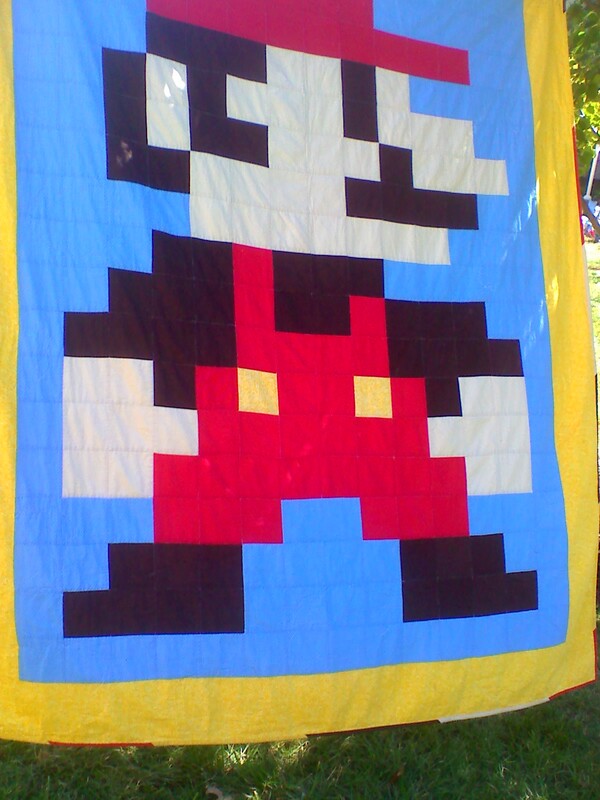 The quilt below would be perfect for him, and I would so love to have the pattern. Don't you just love the colors, too? The quilt below looks like what Barbara Brackman called an impulsive quilt in her lecture series a few years ago. Did the artist intend this to be an impulsive quilt? 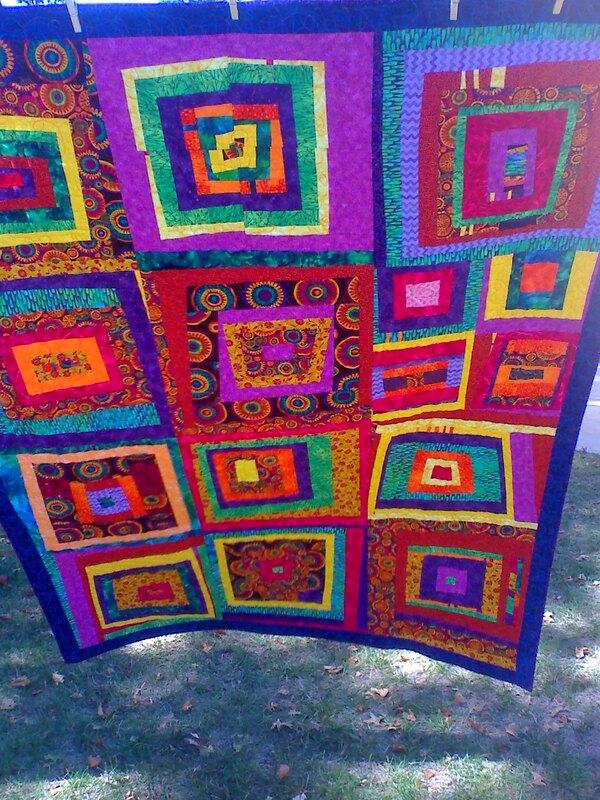 If so, an impulsive quilt is a wonderful way to use up small pieces of fabric left in your stash. 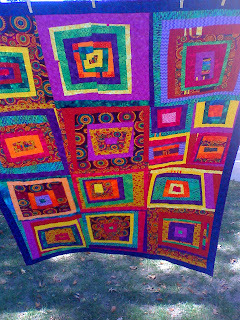 The colors are so happy in this quilt that, if this is an impulsive quilt, the quilter must have quite an amazing stash.